One of the questions raised by the news that the Obama administration is going to use regulation rather than legislation to bring in the so-called “death panels” as part of Obamacare is how it happened that this was first foreseen not by the newspapers or the members of Congress but by Governor Palin. Confirmation of Mrs. Palin’s scoop was brought in by the New York Times in a dispatch issued Christmas day, more than a year after Mrs. Palin issued her warning about Obamacare leading to government involvement in end-of-life issues. No doubt the defenders of Obamacare will argue that this kind of advance directive is hardly a death panel. Participation is voluntary; it’s but “advice.” However, since the “aggressive life-sustaining treatment” being decided upon would be paid for by the same government that is funding the advice on whether to go for it, one can see that this is a step toward exactly the kind of death panel that Mrs. Palin warned about. She used as a proxy for all of us the fate of down-syndrome children like her own son Trig. The question that that we find ourselves thinking about is how was Mrs. Palin able to see this issue when others weren’t. Is she just smarter than the editors and the Congress? Or does she just have more life experience? Is it that her religion gives her a framework for learning all this stuff? Or is it that her sensitivity was heightened by making of her own decision to bring Trig into the world? Or is it something about the Alaskan spirit? Our own conclusion is that it doesn’t matter. It’s enough that she was just ahead of the others, and the point is one to mark. She has become, at a relatively young age and by whatever means, a savvy woman. We noticed it, say, when she suggested the best way to handle the question of the West Bank settlements was to let the Israelis decide, a policy the administration is now following. We noticed it when she went to Hong Kong and warned about the collapse in the value of the dollar and spoke of the importance of gold. It was apparent when she dove in before other politicians and the intelligentsia and warned about the dangers of the Federal Reserve’s second round of quantitative easing. And when, in advance of the BP oil-spill disaster, she’d been campaigning to develop our onshore energy resources. And when she began branding as her own the idea of commonsense, conservative constitutionalism — a year before a resurgent GOP is preparing to open the 112th Congress with a reading of the entire text of the Constitution. No doubt it will be said that other politicians were onto these issue long before the former governor of Alaska elevated them to the national debate. But the observation only underscores Mrs. Palin’s ability. It may be that it’s her education in journalism, in which she holds a degree from the University of Idaho. Or just the fact that she’s on her game. But she understands one of journalism’s great principles, which turns out to be as true of politicians as it is of newspapermen. It’s not a scoop until it’s played like a scoop. Depending on your point of view, she is either a genius or opportunist. Should a politician go anywhere near reality TV? If you are a crusty, wing tip wearing beltway boy, the answer is obvious. If you are in Hollywood, you are jealously wondering which agent she engaged. If you are in flyover land, you are withholding jjudgment. When liberals hate her, conservatives become more intrigued. When they call her names, conservatives jump in the ring to defend her. When they call for her murder, conservatives turn all guns on her protection, her promotion, and yes, her presidency. This has Hollywood scratching their heads. Who is her agent? How could she do all of this without proper media training? Why no voice coach, they wonder. Surely she needs some polishing that only folks in the business can provide if ever she is to make something of herself. Politicians are watching too, wondering as they comb their hair in the rear view mirror why they aren’t the fairest of them all. The reason? They might be dynamic, good looking, smart, savvy, but they represent none of the cultural change that Sarah Palin embodies for conservatives. They think that their smart wonkishness, or their strong soundbites will win the hearts of conservatives, but it won’t. Conservatives intuitively know that politics is merely one front in the war on our culture. Hollywood is another. Palin has shrewdly tapped both and in so doing has unprecedented ability to leverage the media to move the culture, or vice versa. Politicians might not like the fact that Sarah Palin is the only one who gets it, but it is an undeniable truth they cannot overcome. Those who would oppose her should be very afraid. 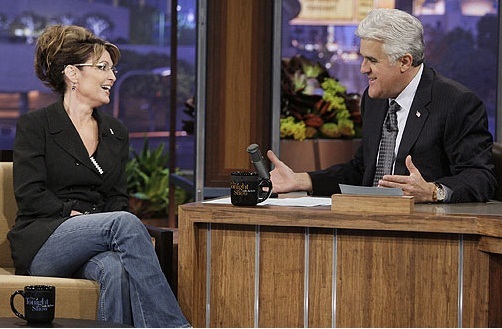 Palin knows that culture is predictive of politics and Hollywood moves culture. Therefore, as the country revolted against Obama Progressives and shifted dramatically rightward, the one remaining liberal stronghold standing in the way of a pure conservative revolution is the puppet master of culture — Hollywood. Sarah brought scissors to the theatre and she is challenging the master. Snip, snip, snip and it is done. Palin just took a leading place on the stage, reaching both red and blue state America with her unpretentious authenticity on her way to reclaiming our culture. The culture will be restored and the socialist folly will be buried in the tombs of bad scripts where it belongs. John Wayne style Hollywood is resurging, and America is poised to once again be Reagan’s “Shining City on the Hill”—a beacon for the rest of the world. So that is why the liberals are so concerned that Sarah is taking Hollywood. It is not President Palin they fear, but a God-fearing, family oriented, crackerjack smart, female “Puppet Master Palin” that has them trembling. If she and her conservative, apple pie eating, patriotic cohorts held the strings, libs could no longer rule the world stage from the rafters. Somebody get Sarah some sunglasses! What a year it has been for Tripp Easton Mitchell Johnston! He’s travelled with his Mom, Bristol Palin, to Los Angeles while she rehearsed for and danced on Dancing with the Stars, and he’s also been a regular on “Sarah Palin’s Alaska.” He’s also appeared on magazine covers with his famous Mom. On behalf of our authors at the Sarah Palin Information Blog, I want to wish Tripp a very happy second birthday and many more to come! May the Lord’s blessings always be with you, Tripp, and may your years be full of happiness and success. Speculation abounds as to why Bristol Palin has bought a 5-bedroom house in Maricopa, Arizona. Whether or not Bristol moves to Arizona to go to ASU is a sidelight to a possible overarching reason, i.e., Arizona ia the perfect base for Sarah Palin to conduct her 2012 presidential campaign from. It is hardly a coincidence that one of her key staffers – her lawyer, Thomas Van Flein – is moving to Washington to work for newly elected Arizona Congressman Paul Gosar, whom Palin endorsed. Also, that Todd Palin had a long looksee at the area with the Deputy Mayor of Maricopa before Bristol bought the house (whose 5 bedrooms would seem excessive for Bristol and her baby). 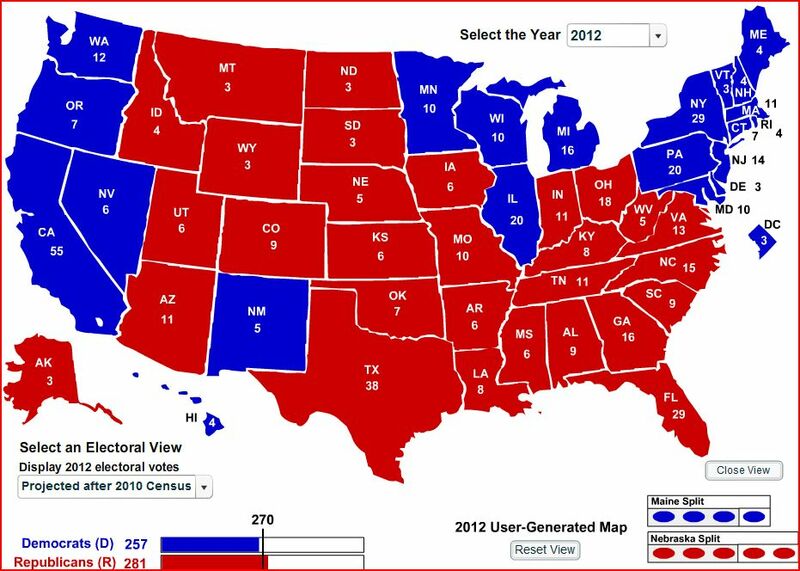 Sarah Palin clearly found that McCain’s 2008 home base was ideal as a hub, and the electoral map for 2012 clearly dictates the same reasoning would apply. Obviously, given the enormous distances involved, Alaska would be too challenging, timewise at least, to run a campaign from. Assuming Florida goes for the G.O.P., then North Carolina and Indiana should come back into the fold. Virginia is crucial, as 270 EV’s can’t be reached without it unless the Hispanic vote in Nevada or New Mexico can be won over to some degree. Given this scenario, the absolute key states start to unfold. Ohio and Iowa are battleground states, each with its own peculiarities. Arizona, Colorado, Texas, New Mexico, and Nevada are states where the Hispanic/Catholic vote will be crucial. Having a base in Arizona would allow Palin substantial time to make as many visits to these states as would be necessary. Palin has many allies who can take up the cudgels on her behalf too, which is a legacy of her brilliant endorsement program. These include McCain, Gospar, Brewer, new Governor Terry Branstad in Iowa, and, of course, Governor Perry in Texas. It is obvious that minimal time and resources will need to be spent in the Eastern or Western states or in the safe states of the South and Mid-West. This is an excellent situation, as it allows for the maximum spend in time, advertising, and supporters’ energy where it is needed most. Once again, Palin confounds her critics, who are dumbfounded as to why Bristol has purchased a house in Arizona. Let them continue to write her off as having no electoral skills – they will be utterly undone in November 2012. On “Sarah Palin’s Alaska” tonight at 9 PM EST on TLC, Sarah, Todd, and Willow will visit a logging camp, where Sarah gets to operate a chain saw and viewers learn about what a career in logging entails. Tonight on Sarah Palin’s Alaska, (9/8c on TLC), you’ll meet the hardworking folks of the Evergreen Logging Company. Sarah and her family will get to see what it’s like to be an Alaskan lumberjack and logger, which is probably one of the hardest jobs we have showcased on the show. Sarah and Todd get a chance to handle a chainsaw and the other scary accessories that come with the logging gig. In this Sunday’s episode of Sarah Palin’s Alaska (airing 9/8c on TLC, of course), Sarah goes to check out Evergreen Logging Company’s operations, and gets to see what it’s like to be an Alaskan lumberjack for a day. In this sneak preview clip of Sunday’s episode [above], you’ll get to see her working with some heavy machinery, including a chainsaw and some sort of complicated (and awesome) logging crane. We’re sure we won’t be the only ones jealous that she got to use all that heavy metal tech, because it really looks like a lot of fun. Sarah along with her husband, Todd, and daughter, Willow, go to a remote logging camp on Alaska’s Afognak Island to get a taste of the Alaskan logging industry. Sarah cuts down Sitka Spruce trees and operates dangerous logging equipment on the island. According to the TLC “Sarah Palin’s Alaska” series schedule, Episode 5 will air at 7 PM EST, and Episode 6 will air at 8 PM EST. Episode 7 will air at 9 PM EST and again at 11 PM EST. Episode 6 will air at 1 PM EST tomorrow morning, and Episode 5 at 2 AM EST. See the complete schedule here for reruns through January 7. The final episode will air on January 8 instead of January 2. When the billiards match concluded (yes, I beat up on the 14 and 15 year old boys) the boys decided to sit down and watch some tube. It is not your normal system and the remote is not easy to figure out so I offered to get them the channel they wanted. Imagine my shock when all three–the ten year old boy, the fourteen and the fifteen year old–requested SARAH PALIN’S ALASKA. I have HBO, Showtime, Encore and NFL Network. I want to wish all of you a blessed Christmas. 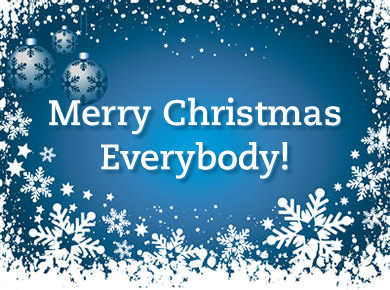 As we celebrate the birth of Jesus and his message to mankind, let us do so with our family and friends. I hope everyone has an opportunity to reflect on what is truly important and to create a Christmas memory that will last a lifetime. From me and Tripp and the rest of my family to you, thank you for a wonderful year and Merry Christmas! An inspirational Christmas address from Ronald Reagan’s first Christmas at the White House. A wonderful speech filled with joy, hope, and Reagan’s undying optimism. 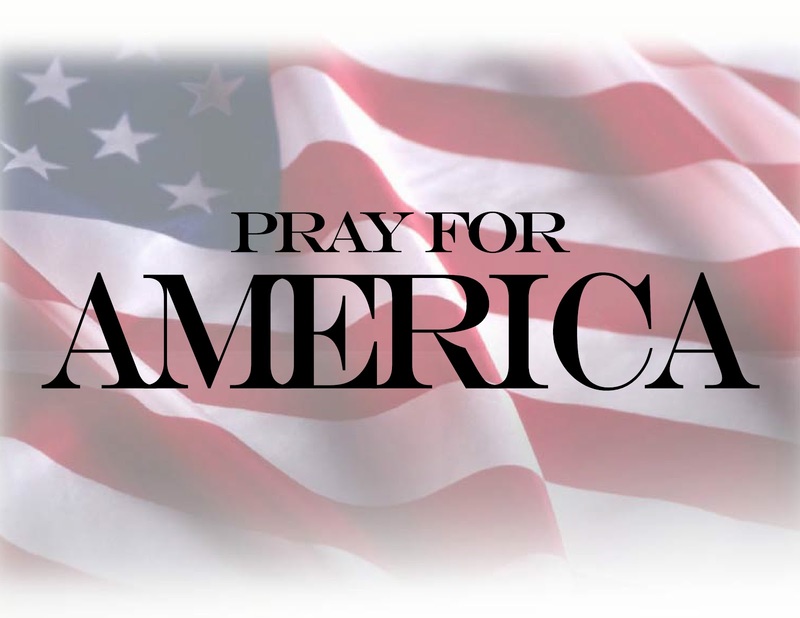 God Bless Ronald Reagan, God Bless America, and may everyone experience the miracle of Christmas this glorious season. Special thanks to Whitney Z for sending this video our way. As we celebrate the birth of Christ today, I want to wish all of our readers a very Merry Christmas and blessings that will last throughout the New Year. Here is a heartwarming story about one of Governor Palin’s friends that you may enjoy. not a pundit was stirring (at least not on TV). their latest opinions flung hither and near. where eggnog and whiskey were poured through the night. they both hunkered down for a night without chiefs. Sarah Palin had tweeted a new subject matter! her new post would surely appear a flash! Bam swiped the touchpad to see what he’d reveal. but a new Facebook post Sarah’s fans would hold dear. when He gave us His son to help light our way. He’d grow to inspire with all that He knows. on the strength and the wisdom His message did tell. with visions of Sarah still spinning his head. “What message could ever be stronger than mine? we don’t want Marxism, it’s God we want near. The Founders knew more than political schemes. to help stop a future destruction or plight. founding docs and their history is all that need be. they’re honest and simple and follow we must. we must say again, no Marxists for good! it’s the freedom of choice that gives liberty still. than let D.C. do it for the pain that is wrought. that Bam and his cronies would do to our history. we’ll make sure that liberty does not ever end. and every day hence as we further the fight.